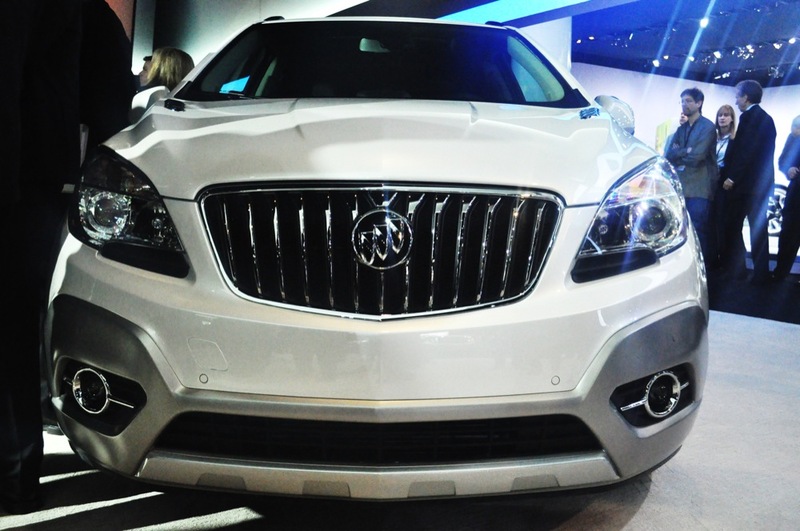 This morning at the 2012 North American International Auto Show, Buick held a press conference for the 2013 Buick Encore, and we managed to capture every second of it. 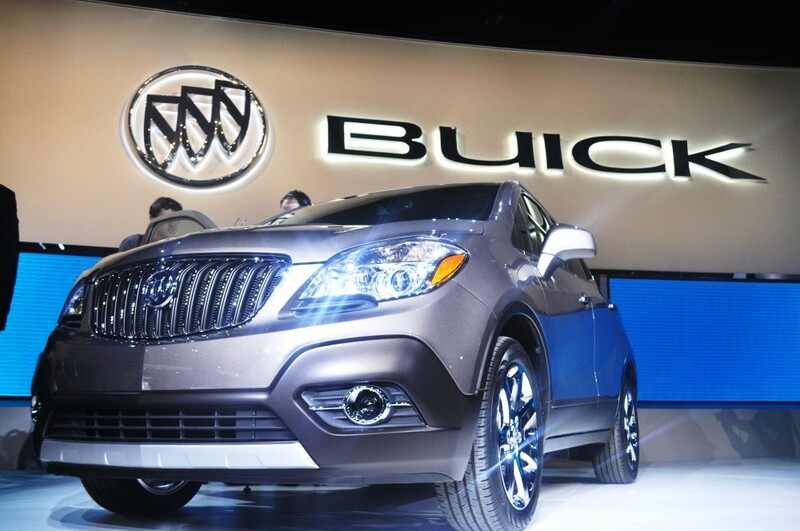 The video itself is a little quiet (we’ll fix that, don’t worry), but it is Buick’s press conference in its entirety, which finally reveals a Cocoa Silver-hued Encore. The contemporary color suits the contemporary design of the little crossover, but it looks even better in the white diamond model standing off stage. 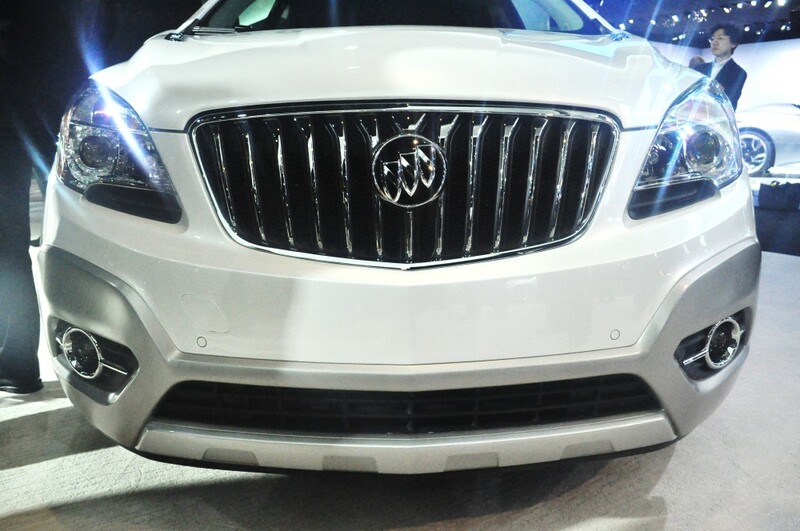 In addition to the two colors presented on the showroom floor, Buick plans on offering nine different colors upon its launch. 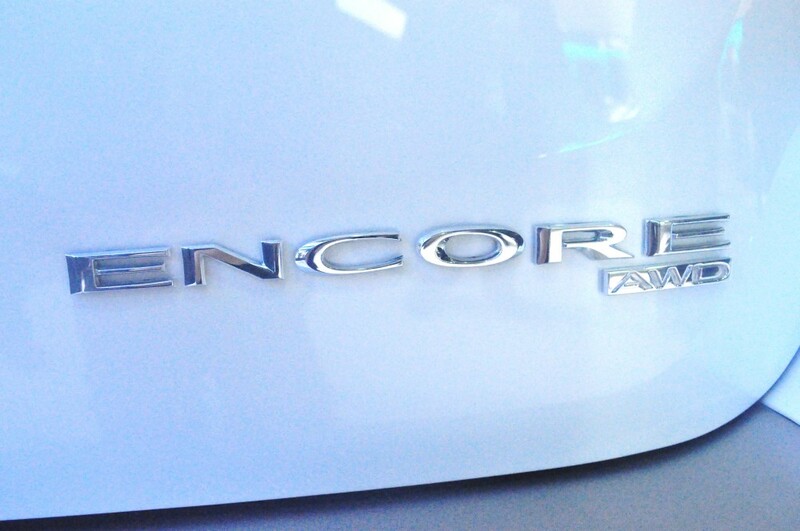 Without a doubt, the new Encore is small, but still manages to carry a presence. It’s overall size doesn’t give the design a lot of room to travel, but somehow it all seems to work. 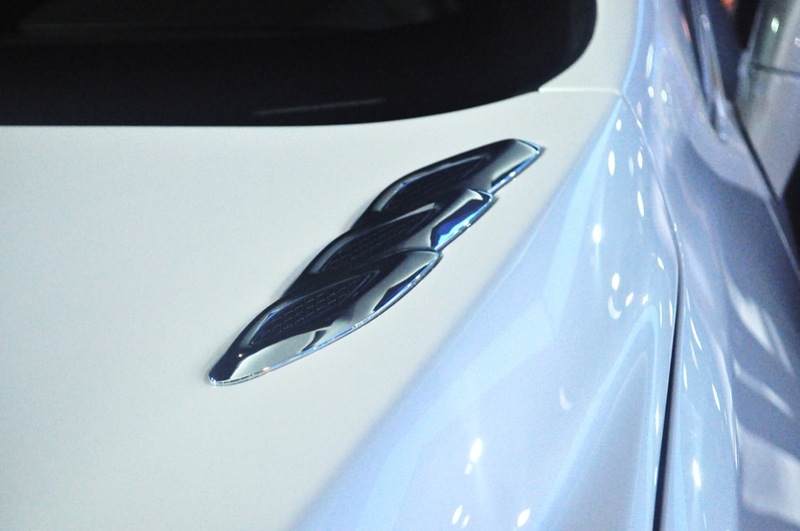 The snout of the Encore is attractively stubby, fitting in only a 1.4L turbocharged Ecotec engine — with “no plans” for something like a 2.0L turbocharged variant down the road, though we know better than to just assume the 140 horse/148 pound-foot turbo 1.4L will be the only engine offering in the 3,190-pound crossover. 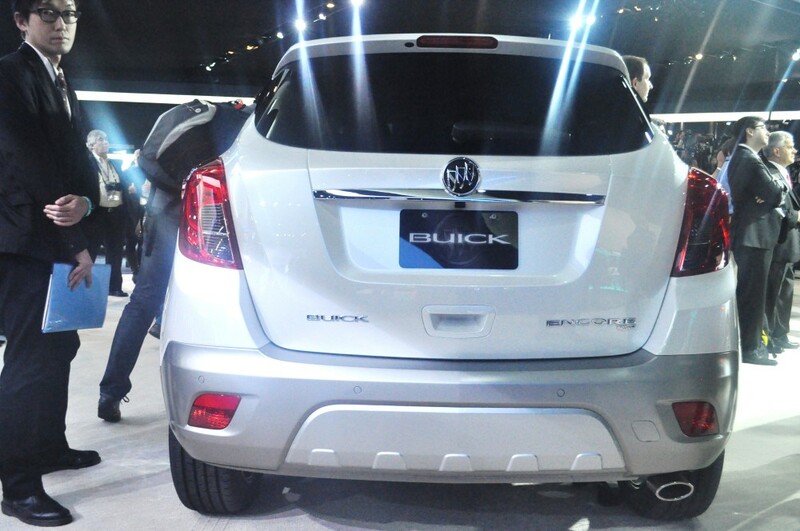 Buick would like us to believe that the new Encore rivals the BMW X1 and Audi Q3 — which are currently unavailable in the U.S. market, but can be found in Europe, where the Opel Mokka will compete in the segment. However, these German models are supposedly coming to U.S. shores, just after the Buick. 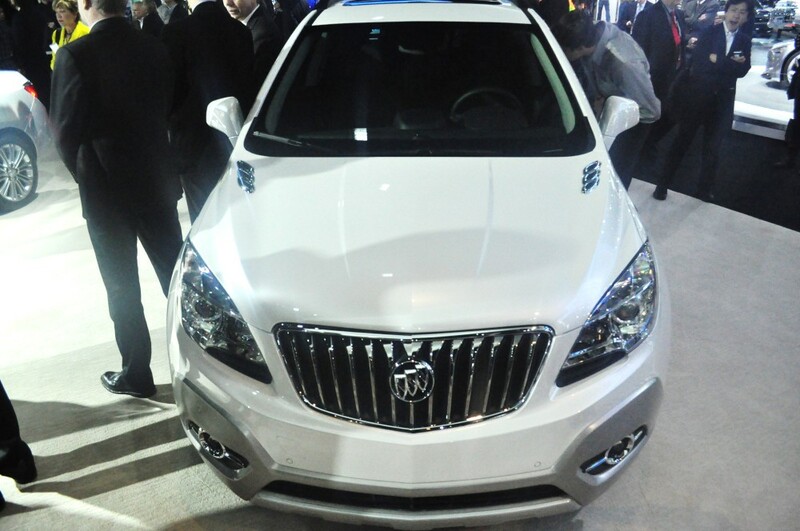 Yes, the Buick Encore will be the first vehicle of its kind in the U.S. market. The new addition to the Buick lineup does come with a few surprises, such as all-wheel-drive availability, and loads of cargo space — good enough to fill the trunk with a week-and-half’s-worth of groceries for the five occupants that can fit inside. 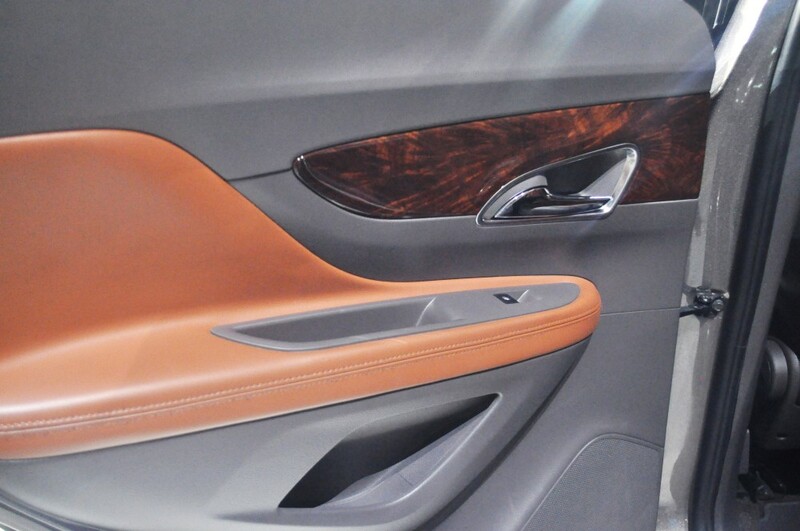 However, it’s a bummer that leather is optional, and leatherette seats with cloth inserts will be standard upon the vehicle’s launch. Speaking of which, pricing has yet to be announced, but we’re expecting it to be somewhere in the low $20,000’s. 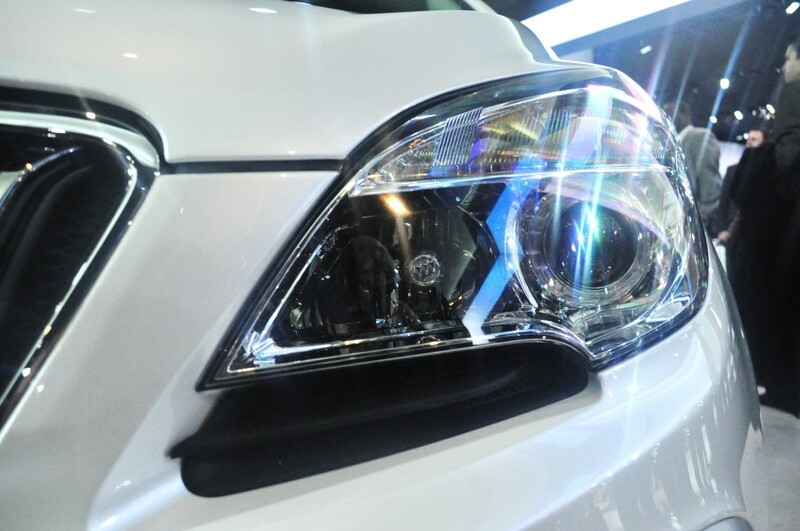 Expect the new Encore to come to market exactly one year from now, in the first quarter of 2013. Don’t worry about the leather so much. BMW and Audi actually do offer leatherette as standard equipment on many of their models with leather as optional equipment. Of course, the leatherette is called all kinds of fancy names to hide the fact, but it’s all the same. Alcantara is a popular form of simulated hide (like suede) that has gained a fair deal of acceptance, perhaps because many people actually think it’s a natural fibre. Maybe Buick should invest in some of it instead…LOL. 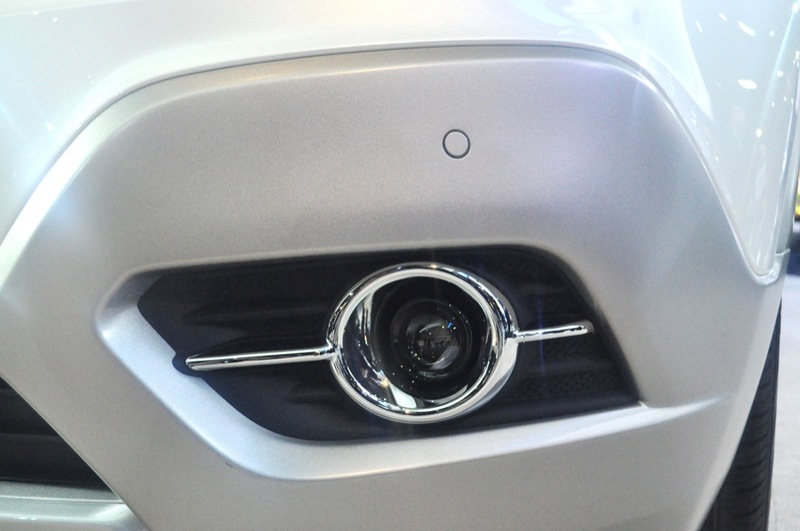 it’s just funny that whenever this car was shown in white, people says it looks like a bunny. but then its two tone though…. Isn’t funny listening to PR blather? It’s a small station wagon with a tall profile. Big deal. As I’ve said before – 90% of people who absolutely do not need 4WD would be better off with a hatchback. There just isn’t any space behind the rear seat and it’s tall – meaning bad aero, heavier weight. This equals poor performance at the gas pump. Today, when Iran shouts threats of closing off the Strait Of Hormuz, and the price at the pump IMMEDIATELY leaps 4-24 cents per gallon. Today, when we are faced with ever convincing data that efficient cars will make us “energy independent”, not “drill baby drill”…. Cars like this don’t make sense. They just don’t. Isn’t it funny that the country we live in sells more pickup trucks than anything else? A huge portion of the public clearly does not care. And there’s plenty of room back there. So you want to sit higher… Higher center of gravity, equals LESS SAFE. I keep asking people to defend small SUVs and even SUVs in particular. Still nobody can come up with any rational defense of these things. When marketing types read off cue cards to car show attendees and the press, I fall asleep…”bla bla blaaaa”…. It’s always “revolutionary”, or “like nothing else on the market”…. There’s too much on the market like Encore already, and it’s pricey for what it is. 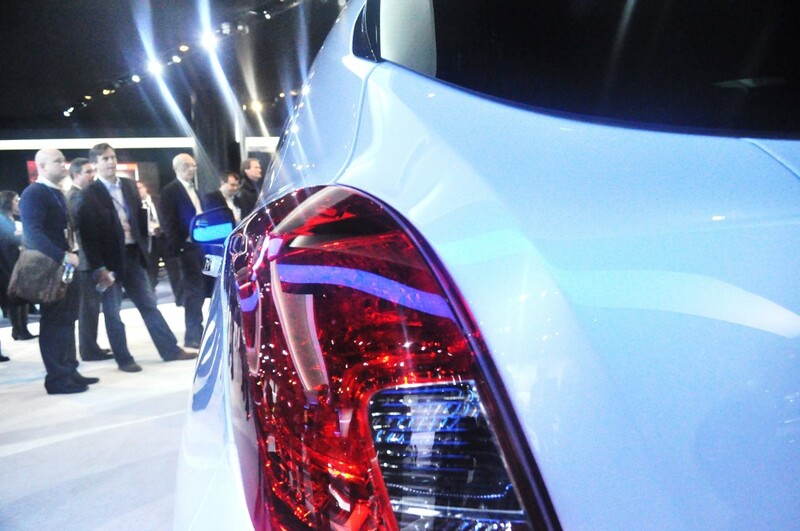 GM – I am completely underwhelmed at your rollouts for the Detroit Auto Show. Obviously, the feeling/belief of safety does necessarily result in safety itself. I, too, don’t really understand crossovers. But until people understand that they’re buying an inferior vehicle in every single way, they will continue to sell by the boatload. What else is out there like the Encore? I learned a long time ago that most people are not the “typical” buyer. Needs of the individuals vary tremendously. Consumers certainly share many lifestyle needs, however, a person owning a 60 pound dog wants a taller vehicle behind the rear seat, the same person hauls 56 gallons of springwater in 14 plastic crates about once every 6 weeks. This is a real example of just one client of mine who loves her Pontiac Vibe but would like a quieter vehicle next time. In about a year from now, she will trade her 130,000 mile Vibe for a new Encore. 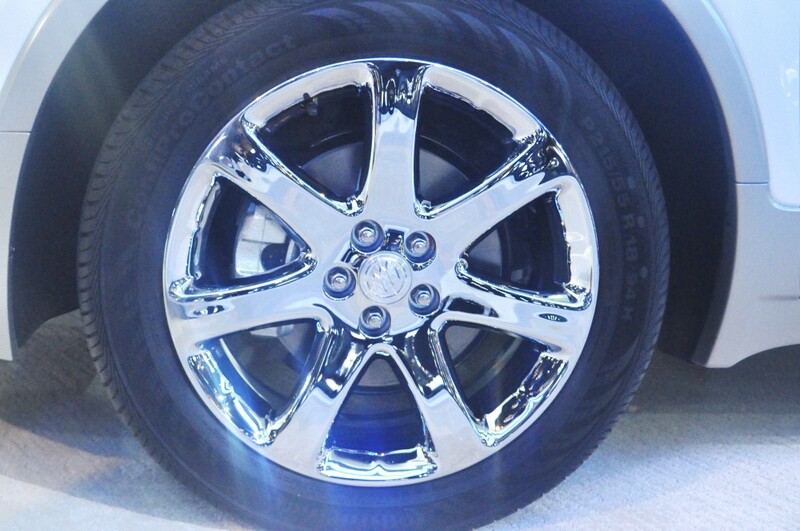 Buick/GMC salespeople in my store are excited about this addition to our line up. @ Craig. Top Gear did a show wherein they demonstrated the hazards when people put large or heavy objects in the trunk, in the rear cargo area, or in the back seat of their vehicles, then have to make a panic stop. One of their examples was a bowling ball in the trunk that their tests showed can easily come forward and remove one’s head! In order for a person to load “56 gallons of spring water” in Costco flats or any other container in a 2013 Encore, they would definately have to lower the rear seats flat. To do this is to say…NOT SMART! 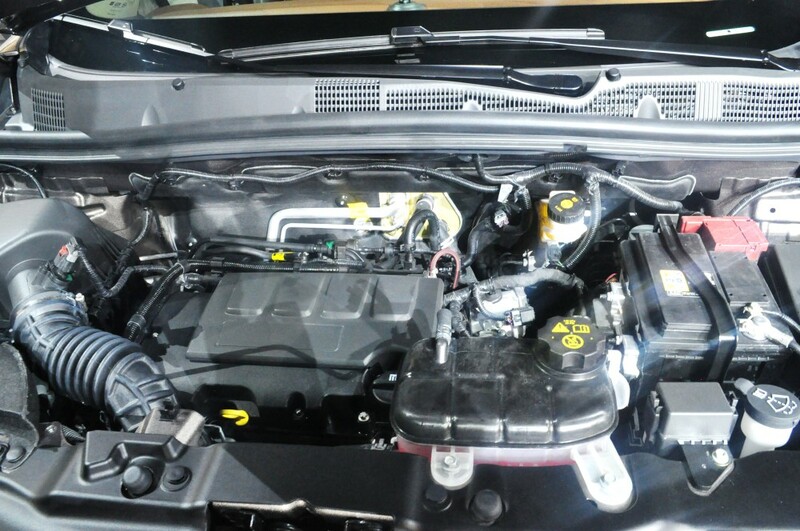 One panic stop and that spring water will spring forth and most likely be much more damaging to the driver and front seat occupant than any damage a frontal impact – lessoned by airbag would incur. My question re: Small SUVs or any SUV for that matter still stands. Even if the buyer has a great dane that stands four + feet tall ( as my neighbor’s does ) it wouldn’t fit safely into the back of an Encore, or any SUV in the small arena. Take a measuring tape and measure the rear area of a Prius or Volt and you’ll find there is more space for most items on the flat floor WITHOUT the rear seats folded flat. Of course, this means you can safely carry many items in back AND rear passengers. 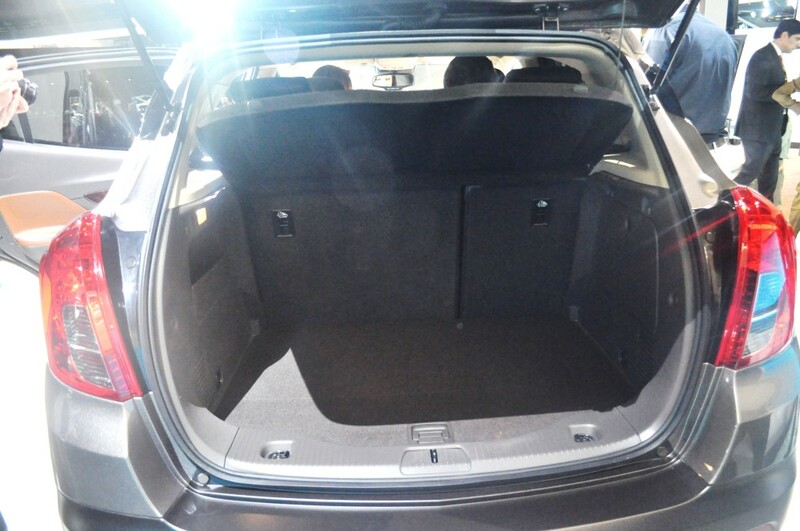 Large, tall square boxes or furniture needs to be tied down and small SUVs really do not have the space or the facilities to do so ( seats down ).Hatchbacks just don’t sell here like they do in Europe and it’s a head-scratcher why. Mostly, experts believe it’s vanity – Americans don’t like the way they look. 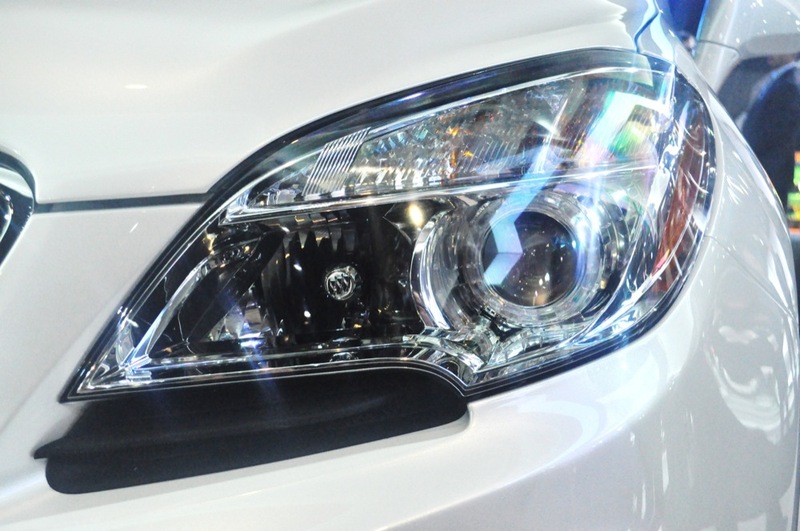 There are “typical buyers” in every segment of the auto industry. There are also exceptions. Since the auto biz is a numbers game, manufacturers do not plan for the exception, but the rule. 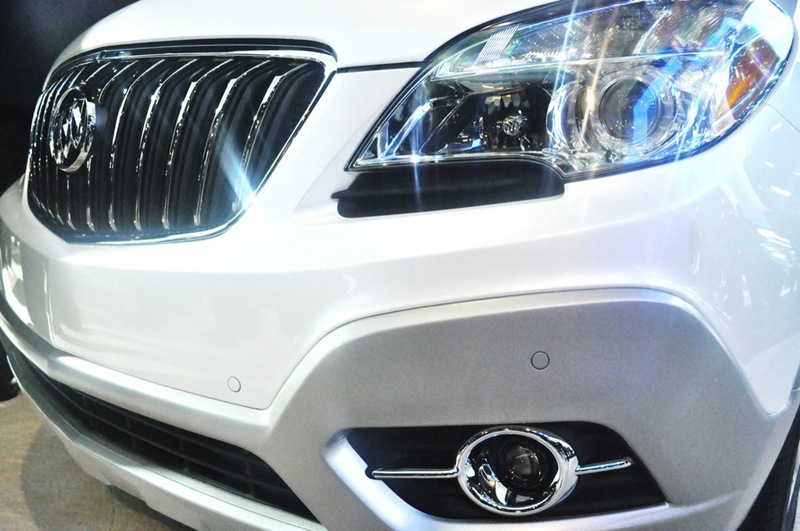 Vanity has been the main rule behind the psychlogy of the SUV buyer. He or she does not want to appear “soccer mom” , or “off-the-market” or over-the-hill…And this is a common perception of practical vehicles like vans or minivans. Sadly, if a large dog or 56 gallons of spring water need to be hauled – these are much safer vehicles to do it in. To me, when one says, ” I could care less about energy independence”, it is just like him saying, ” I could care less about you, your family, and America”. So like I said. This is sad indeed. There is no “God-given right to waste limited, non-sustainable energy” . It’s time Americans lose the feelings of entitlement to flex military muscle and fight for each drop of foreign crude oil, and just get smart, and use less. Maximum Bob was a bright spot. 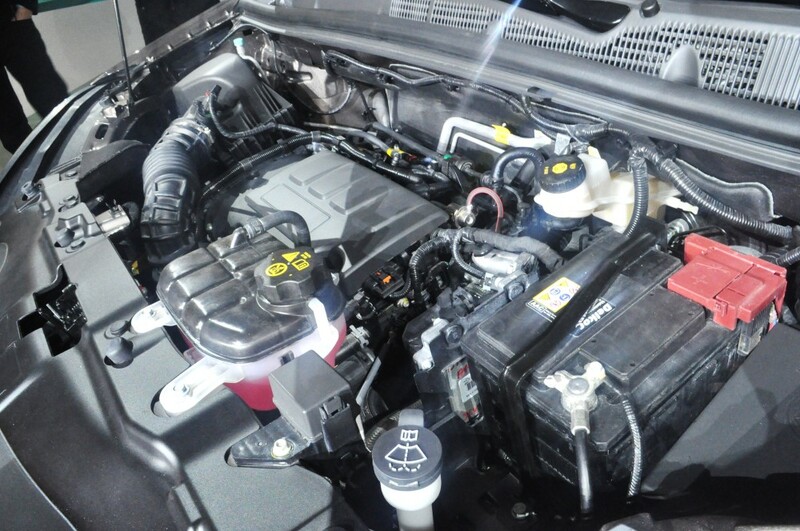 To see the wise veteran plugging the VIA PHEV full sized trucks and vans…. Now that tells you something. I read the following on a different site. Not sure if it is an exact quote…. By the time GM gets the data it needs it will be too late to make the Encore in the U.S. That’s what happened with the Cruze. 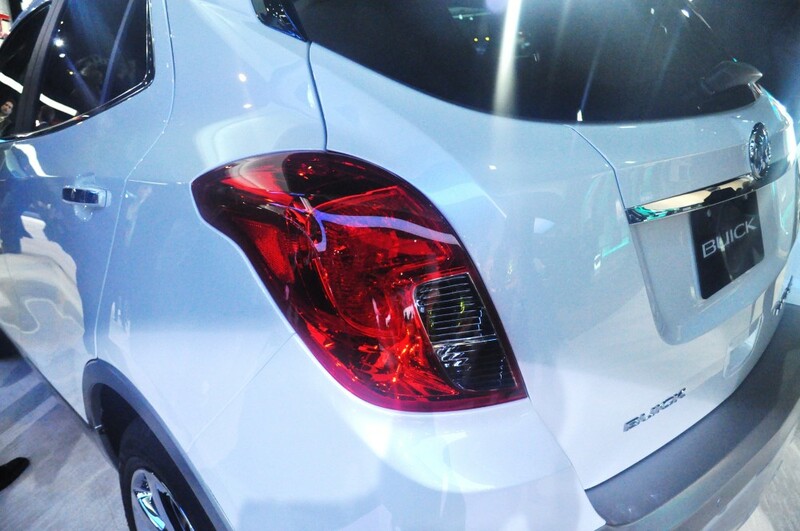 GM said that they would not do a Cruze hatch for the U.S. because the car was already mid-cycle. This sort of thing becomes a self-fullfiling prophecy. Make a mediocre car because you’re not sure about the market and you won’t have the market. Many won’t buy the car because it’s foreign. It’s not just about patriotism or concern for the unemployed. It’s about being captive to a foreign supplier for parts, and then getting ripped off for lack of alternative suppliers and skilled mechanics. I have some horror stories….for another day, but the bottom line is that, as the dollar loses value against other currencies Americans will pay more to maintain their foreign-built cars. The 15 trillion dollar debt (and rising) will be paid, one way or another. Can anyone tell me what percentage of the Encore is made in the U.S.? (I read that the Sonic is about 65% North American.) What was meant by the “from America” in the title of the earlier Encore thread? American engineers? American company? American parts?